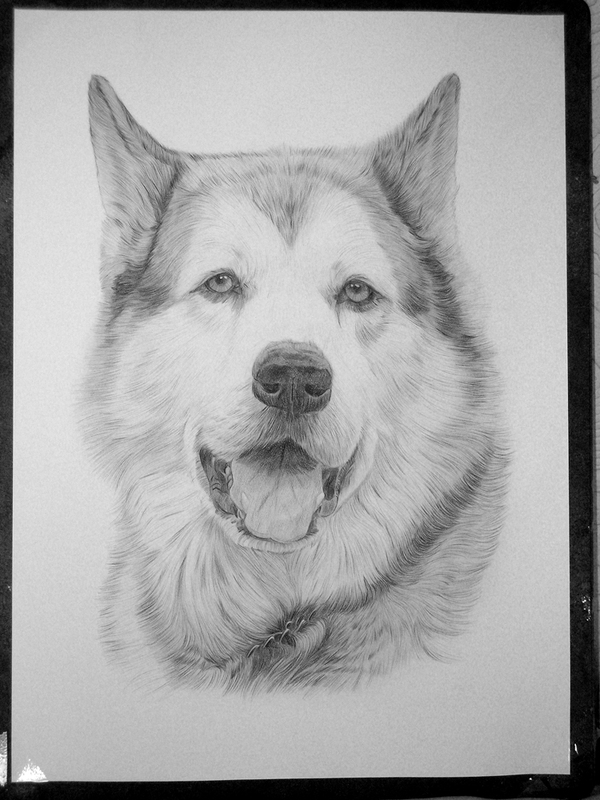 Heres a recent commission of Blue, completed with black watercolour pencil on watercolour paper. Had to take a photo of this rather than a scan as it larger than A3. Click for a larger view. 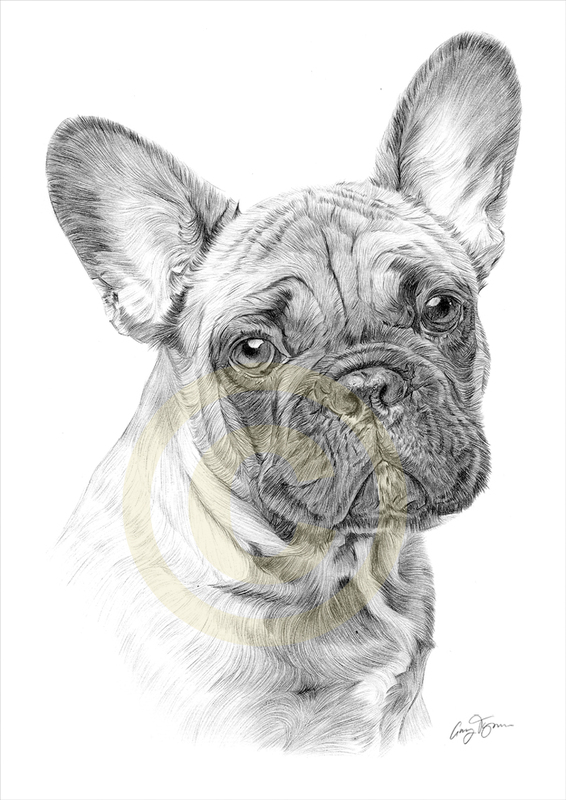 Heres a recent pencil drawings of a white French Bulldog, completed with black watercolour pencil on watercolour paper. Click for larger view..